It’s almost that time of year again, when we can shed our responsible adult skins and dress up as whoever or whatever we want. 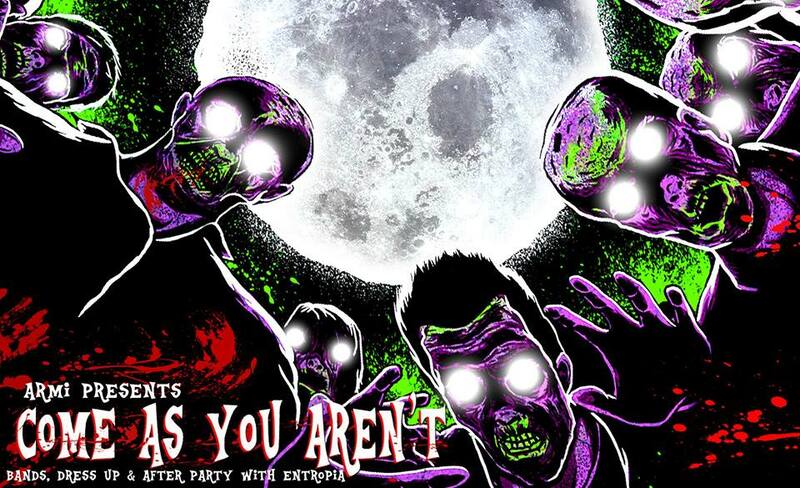 ARMI (Australian Rock & Metal Institute) are hosting a ‘Come As You Aren’t’ Halloween party at Adelaide UniBar on Saturday 27th of October. Costumes are a must and the night will feature a lineup of spooktacular emerging ARMI talent, followed by a dj afterparty set by Entropia. There will be a prize for best dressed, and kids under 10 get in free! With doors from 5.30pm and the undertaking beginning at 6.00pm, we’ll see you there, dead or alive.